In July of 2009, I found myself with several days before I needed to start a new work project. I started thinking about making photographs of Mono Lake, north of Mammoth Lakes on the eastern side of the Sierra Nevada Mountains. 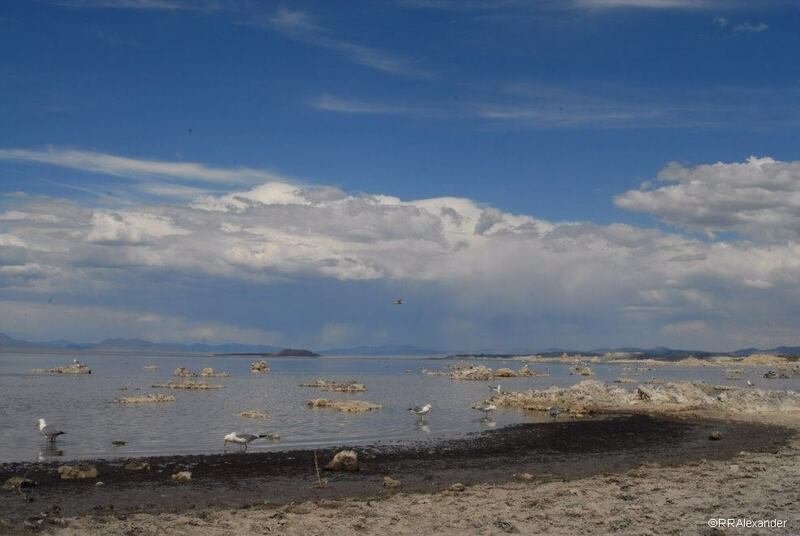 See Mono Lake Geology for more information on the formation of the lake. 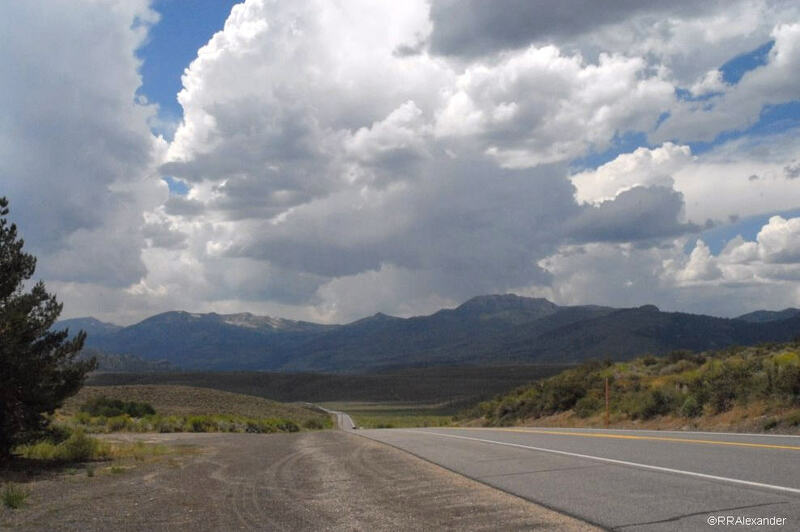 Approximately 330 miles from home, it would be easy to ride there in one day, spend the night at a local motel in the town of Lee Vining, then rise early to get sunrise photographs at the lake the next morning before returning home. I sat down at the computer and started looking at road maps. I visually traced Route 395 north through Oregon and into Washington. Poking around in the mapping application, it soon became apparent that it was only 1,108 miles to Steve Vaughn’s new home in Washington. Steve had recently moved to the West Coast to take an environmental job in Richland. I’ve known Steve since Kindergarten and we are still speaking to each other. The overnight photo trip suddenly became bigger. 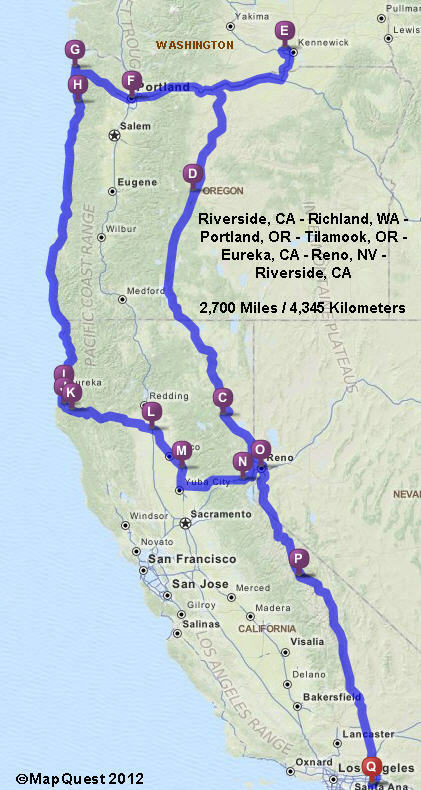 I’d ride north along the east shoulder of the Sierras and central Oregon to Steve’s for a quick visit, then turn toward the Pacific Ocean to ride the coast roads south toward home. Along the coast, I’d stop to see Al Morrow in Daly City, on the edge of San Francisco, then stay overnight with my daughter Megan in Santa Cruz. 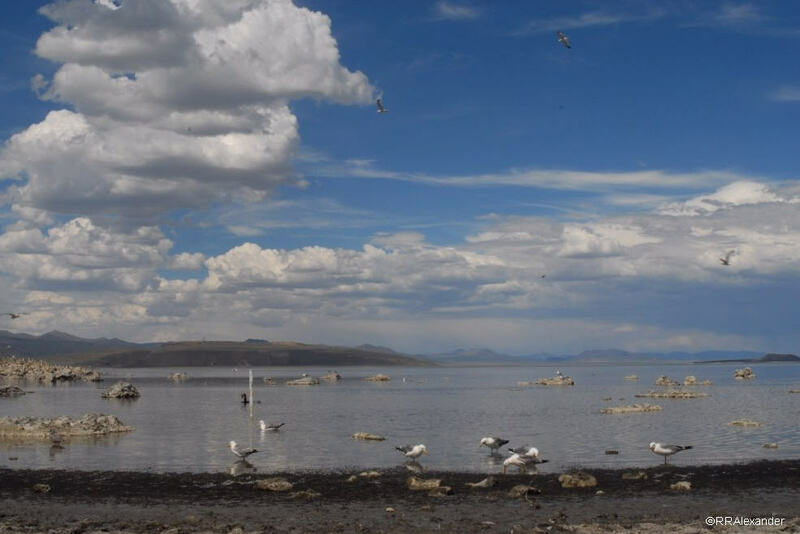 I left on the morning of July 24 and rode north on Route 395 across the Mojave Desert and through the Mammoth Lakes area, then stopped at Mono Lake to make the following three photographs. There are signs on 395 indicating the road to the scenic viewpoint for the lake. The viewpoint has an excellent long view of the lake from the southwest. 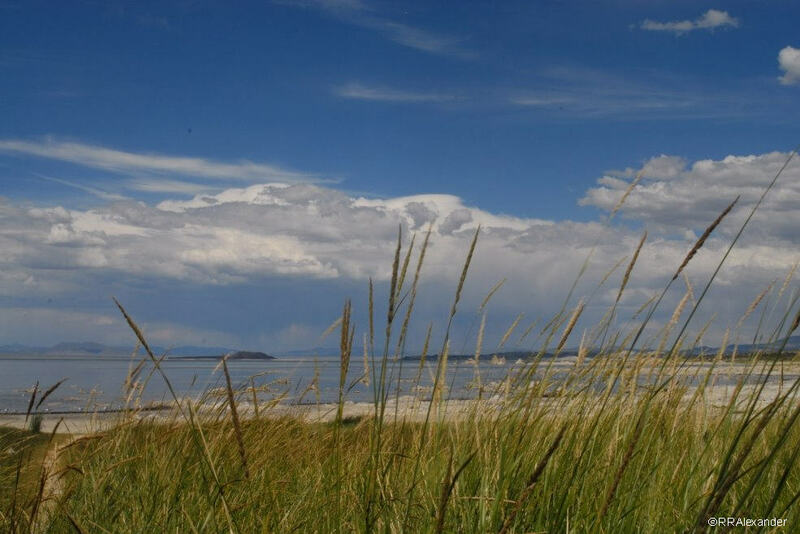 A pathway extends from the parking lot through the long grasses bordering the lake to the beach, for a closer view of the tufa formations and waterfowl. It is a waterfowl paradise for the various seagulls, ducks, and pelicans. 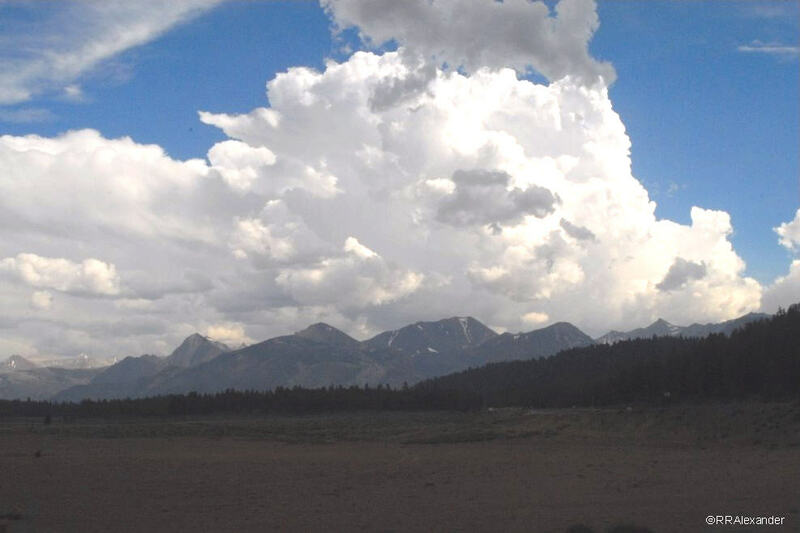 North of Mono Lake, 395 climbs steadily along the Sierras. For good views of the ridges, one only needs to turn their head toward the west. I started thinking about putting some miles on the Road Star as the lake receded behind my back. 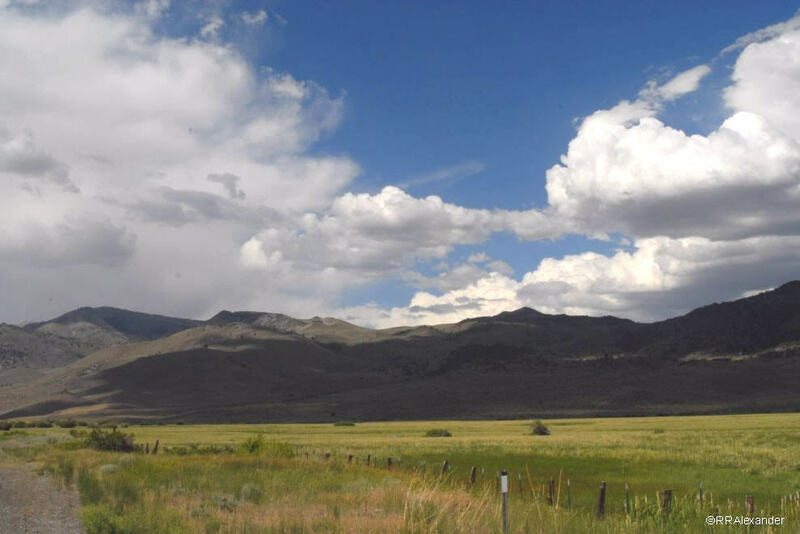 It made a certain amount of geographic sense to stop in Reno, Nevada for the night, about five hundred miles from home. It would be a good day’s ride. But Reno is a big city and I prefer small towns or semi-isolated aging roadside motels. Susanville, California looked like a better endpoint for the day, and I’d have 550 miles on the trip meter. Despite living in California since 1971, I had never been in Oregon or Washington. Because I was taking secondary roads, Oregon’s traffic was moving slow. The speed limit off the Interstates was 55 miles per hour, and every town had speed limits as low as 25 mph. The residents seemed to take the speed limits quite seriously, driving conservatively between 55 and 60 mph. I decided that it was probably a good idea to drive the same speeds. It wouldn’t do to go faster and pick up a speeding ticket from a state official wearing a badge, hat, and gun. Evidence of widespread logging operations was everywhere on the roads in the form of frequent logging trucks. 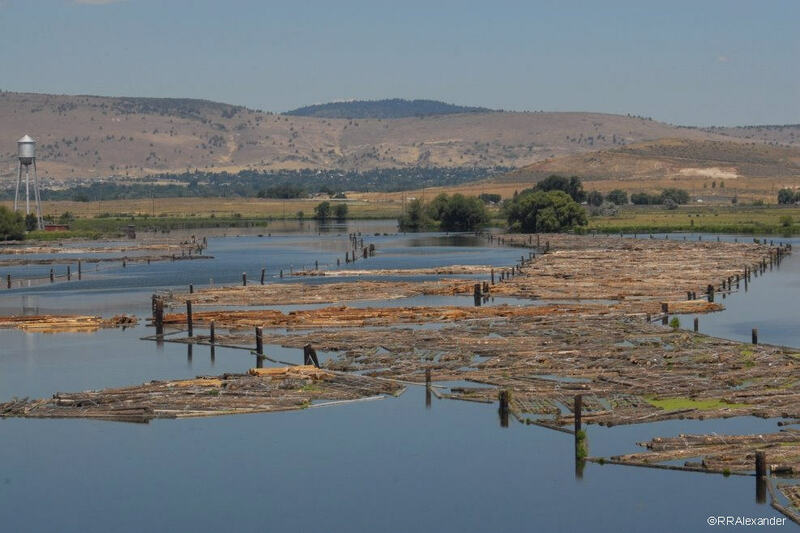 Another reminder of that industry was the large group of logs shown here, waiting for processing at a lumber mill in the south of the state. Across the country, the small mom-and-pop gas station/markets that thrived in slower-paced times have largely been abandoned. 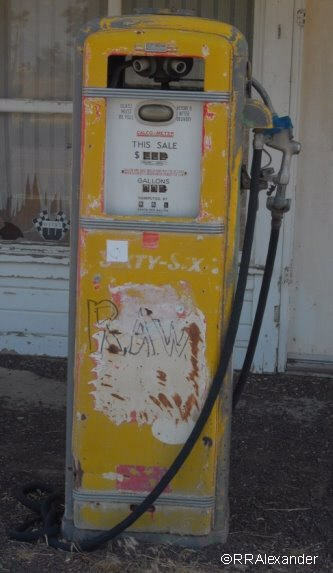 The gasoline pump shown below at a long-vacant station, was in Mid-Oregon. I wanted to fill the tank of the Road Star at the 66 1/2 cent price ($.665) displayed on the pump. The slow ride through Oregon put me a day behind my own schedule, but it was very pleasant country to ride through with billions of tall evergreens and the air filled with the scent of pine. I rode across the Columbia Rivers separating Oregon and Washington in the late afternoon and found Steve’s place in the early evening before the day’s light had faded away. After a trip into town for burgers and superior draft beer, we spent the evening talking, catching up on the minutiae of our lives. It was good, as always, talking to Steve. He has always had an entertaining sense of humor, and though we disagree about a number of things, I’ve always been comfortable with his company. 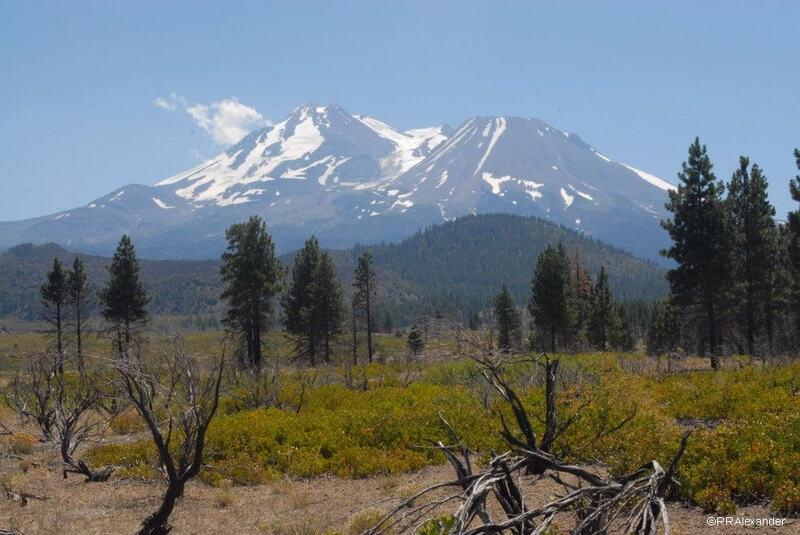 After keeping him up too late, I rolled out my sleeping bag on the living room carpet and slept deep for seven hours, as if I was in a tent high in the mountains, breathing in clean air laced with a hint of campfire smoke. My sleep was perhaps too deep, since I didn’t leave until 7:00 am, delaying Steve’s departure for work. Back on the road, the morning air was quite cool and I kept my leather jacket on for a couple hours. The weather forecast for the area indicated that the temperature would climb to around 100 f (38 celsius) by afternoon, but it was a slow warmup. South of Richland I made a stop to check the map between sunflower fields. The area around Richland is an arid steppe, so the crop farming was all irrigated. 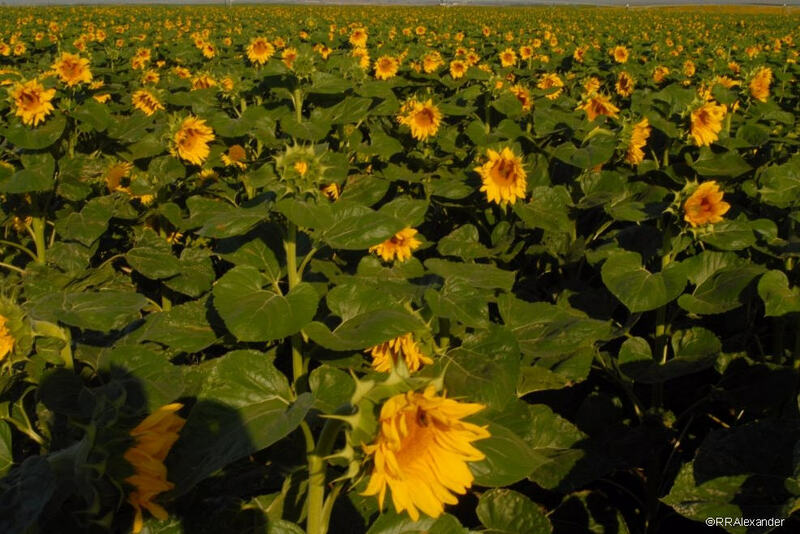 The sunflower field shown here seemed to go on forever. Across the river in Oregon, I planned to follow the Columbia west to Portland, then ride Route 101 down the coast to the Redwoods in Northern California. The photo below shows the Columbia River with Washington on the far side. After snarled traffic on the freeways running through Portland, it was slow going on 101 along the Pacific. 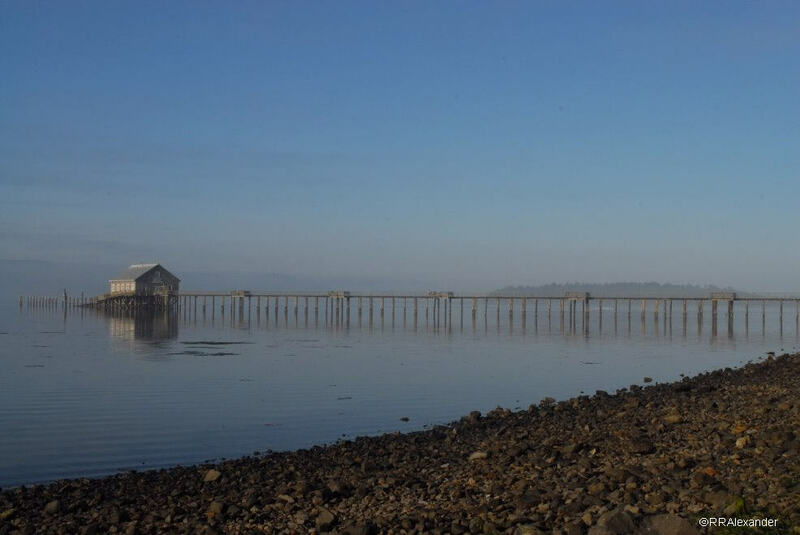 I spent the night in Nehalem at The Bunk House in a clean, comfortable room. Being so close to Tilamook, I wondered if I’d find a wedge of fine medium cheddar under my pillow, but that particular promotional idea hadn’t yet caught on. A dense mist shrouded the coast the next morning. With frequent stops for gasoline, photographs, and rest breaks, I followed the slow road toward the south. 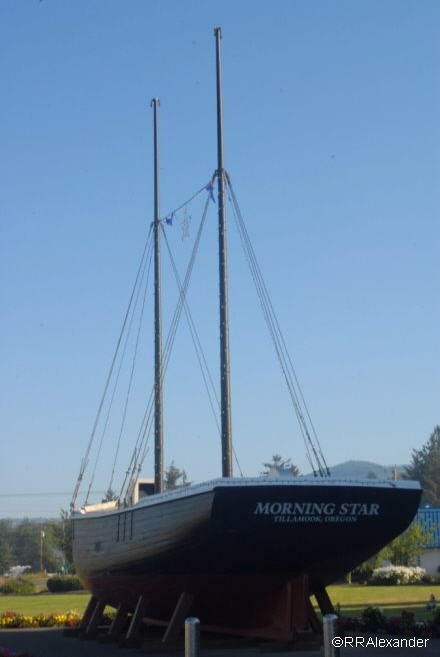 A small sailing vessel, the Morning Star, graces the front of the Tilamook Dairy in Tilamook, Oregon. It seems quite fitting, somehow. Being a big fan of Tilamook cheddars (why bother with lesser cheeses? ), I took the tour, had some cheddar for breakfast, and bought t-shirts for the grandchildren and myself. I woke the next morning in a motel on the Rogue River waterfront in the town of Orange Coast, just north of the California border. The morning mist was thicker than the previous day. 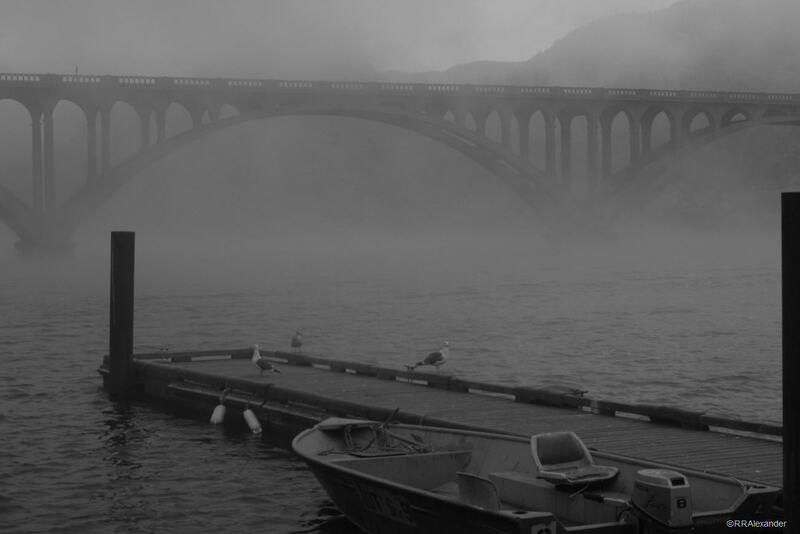 Outside the sliding glass doors at the rear of the motel room, the bridge over the river was ghostly. The light was nearly monochrome in the coastal mist. To my eye it looked like old black and white prints. Due to the wet foggy air, it was a cold ride. And again, slow. I was running out of time to get to San Francisco and Santa Cruz. By the time I arrived in Eureka, California it was obvious that I needed to reroute myself to arrive home by Friday. I would never make it in time if I continued on the coast roads. 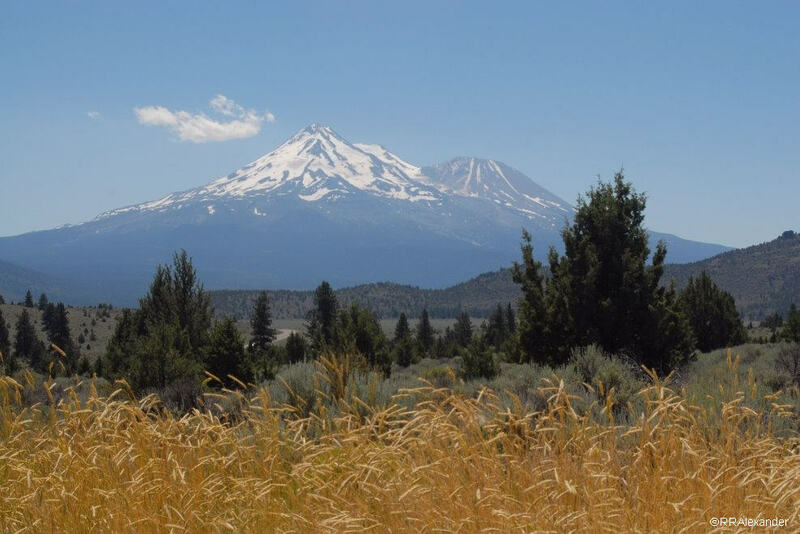 I turned east at Fortuna and took Route 36 over the Coast Range, Route 99 south through the San Joaquin Valley, I-80 from Sacramento through the Donner Pass over the Sierra Nevadas to Reno, Nevada, then returned home on Route 395 through the Mojave Desert.